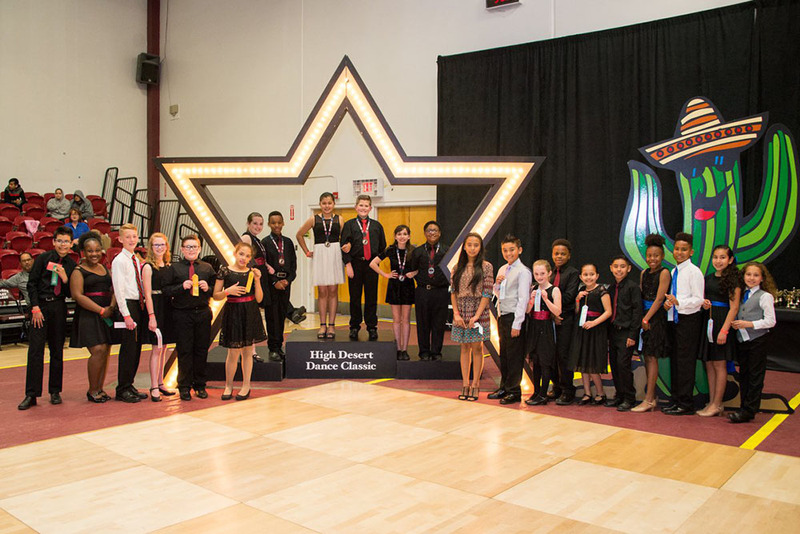 Please join us for this year's competition! We are so excited that you are looking at our amazing program! 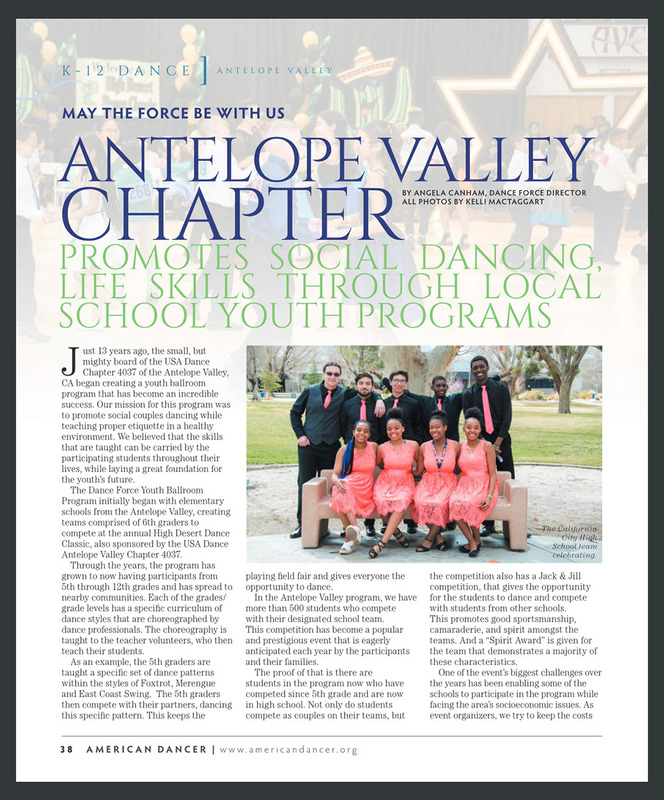 It has been so wonderful to promote Youth Ballroom Dance in the Antelope Valley and surrounding areas for the past 15 years. As the director of this youth program, I have been privileged enough to participate as both a teacher and a program administrator. I have seen the growth of the students as they feel the pride of learning something new and use that skill to compete against other schools. We hope you will join us in this exciting opportunity! Please feel free to contact us with any questions. Check out this video and more on our Facebook page! 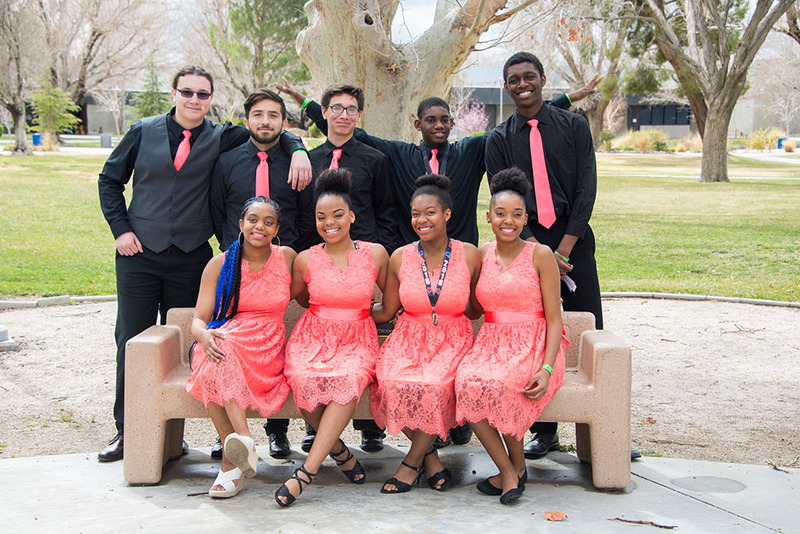 USA Dance Antelope Valley Chapter, a non-for-profit dance organization in the Antelope Valley, is excited to offer this dance program. 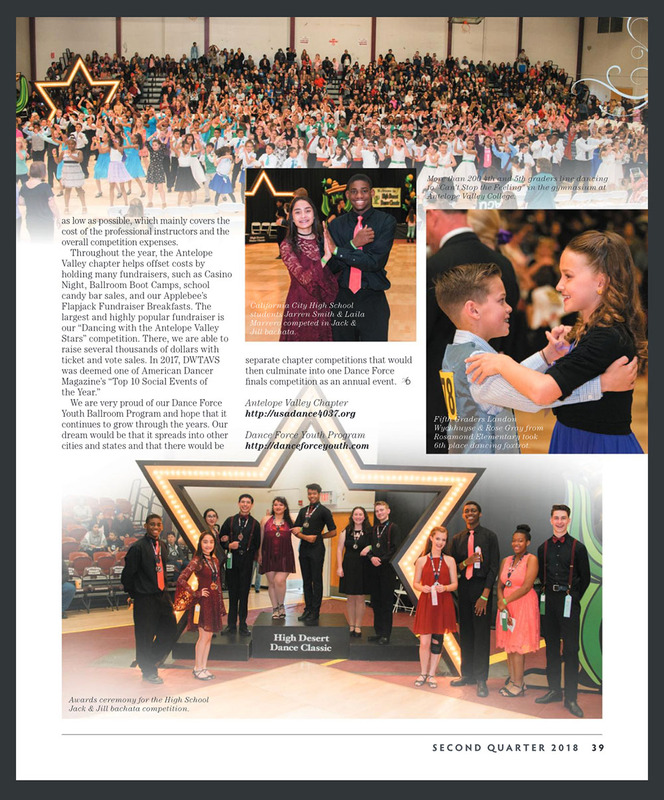 Our mission is to promote ballroom dancing for youth. 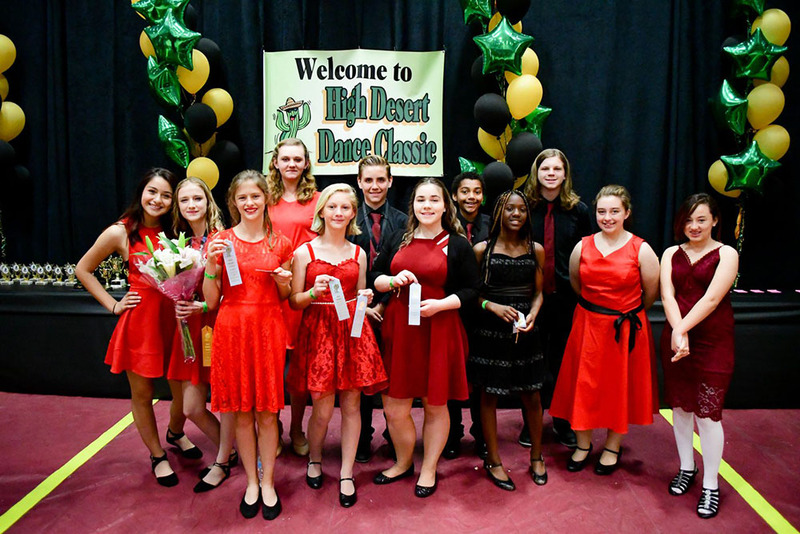 The Dance Force Youth Ballroom Program provides an intensive weekend of dance instruction for the schoolteachers by a professional ballroom dance instructor, and the teachers then teach the students. 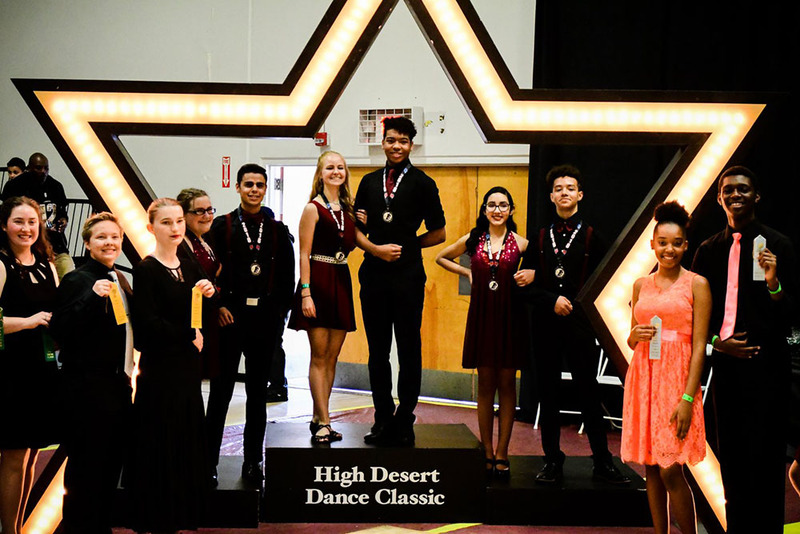 They teach the students several dances so they can compete at the annual High Desert Dance Classic in March. 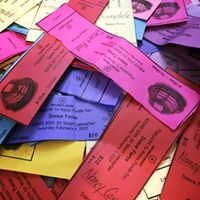 Every year we do multiple fundraisers to raise money. 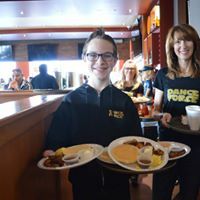 The most popular is our Applebee's Flapjack Fundraiser. 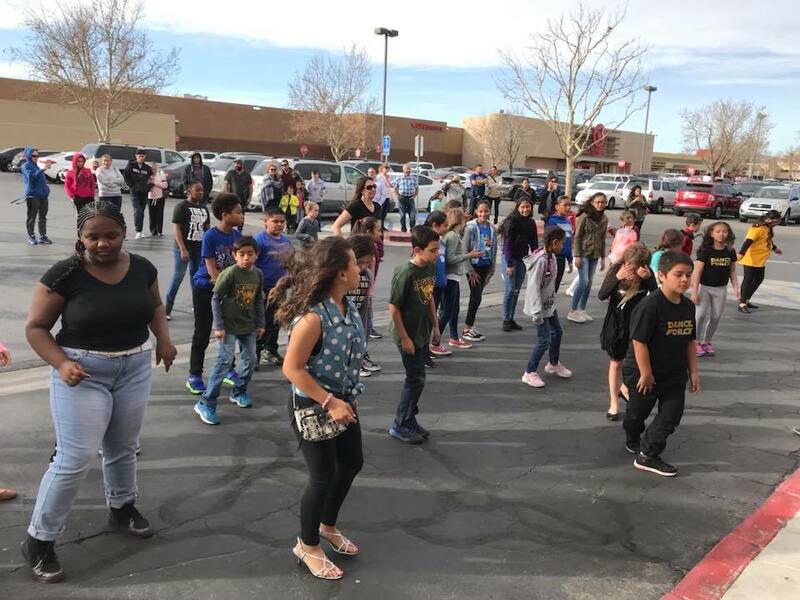 Hundreds of kids and parents show up to eat pancakes and dance in the parking lot. 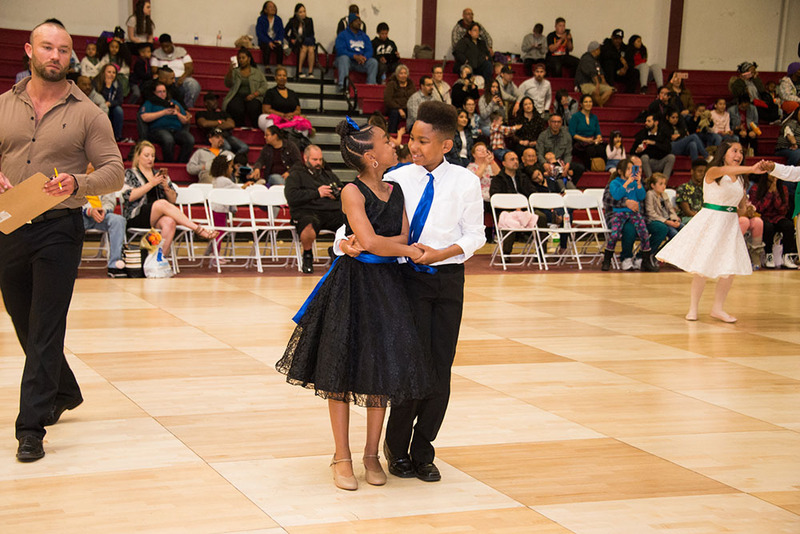 Every year, the Friday before competition, we bring the kids together for a fun social dance. 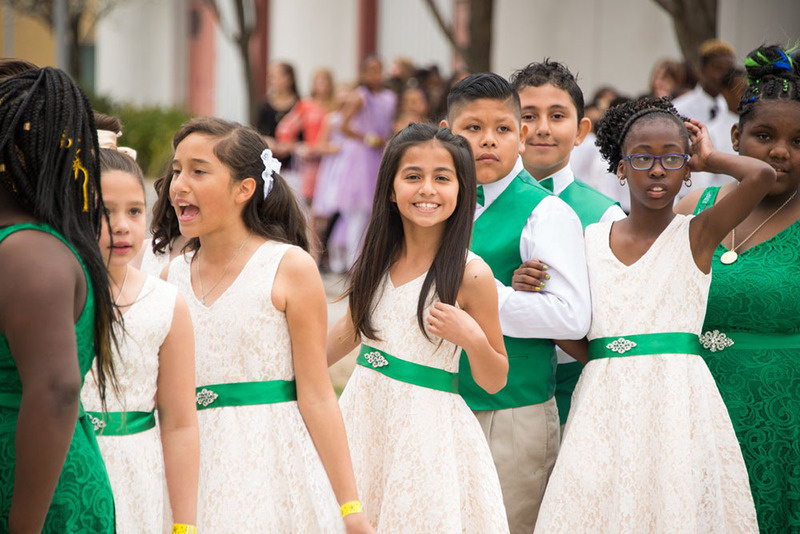 This gives them the opportunity to meet students from other schools and practice their dancing. We also have a fun Jack and Jill competition. 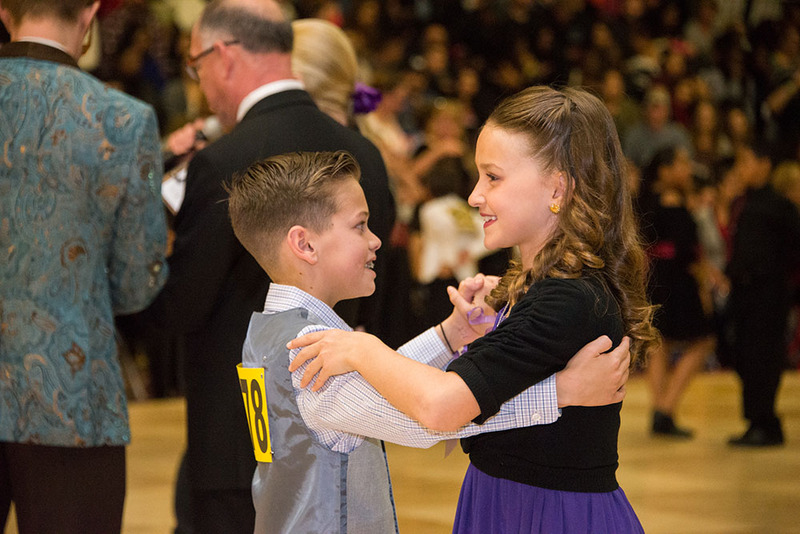 Our youngest competitors are our 5th graders (and 4th graders who dance up), competing in Foxtrot, Merengue, and East Coast Swing. This is always our largest group, and there is a great deal of enthusiasm on the floor! 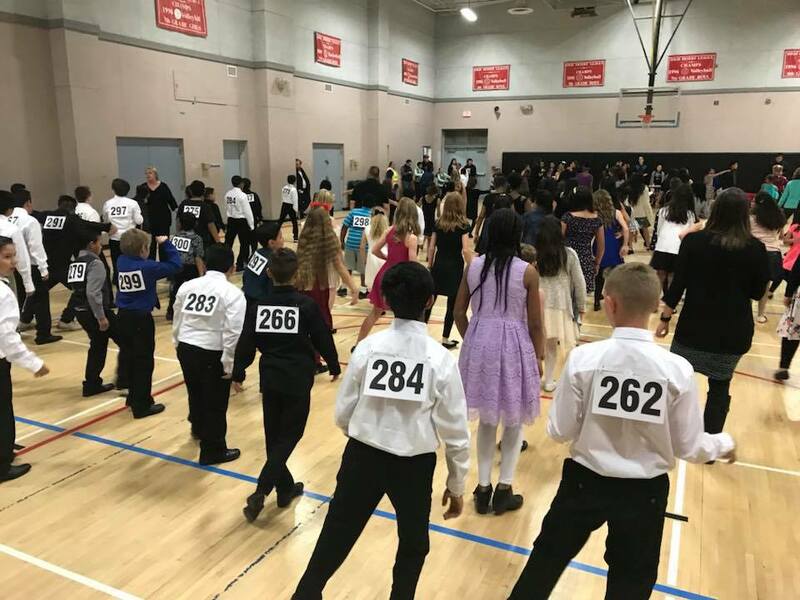 Our 6th grade teams compete in Foxtrot, Merengue, East Coast Swing, and Rumba. 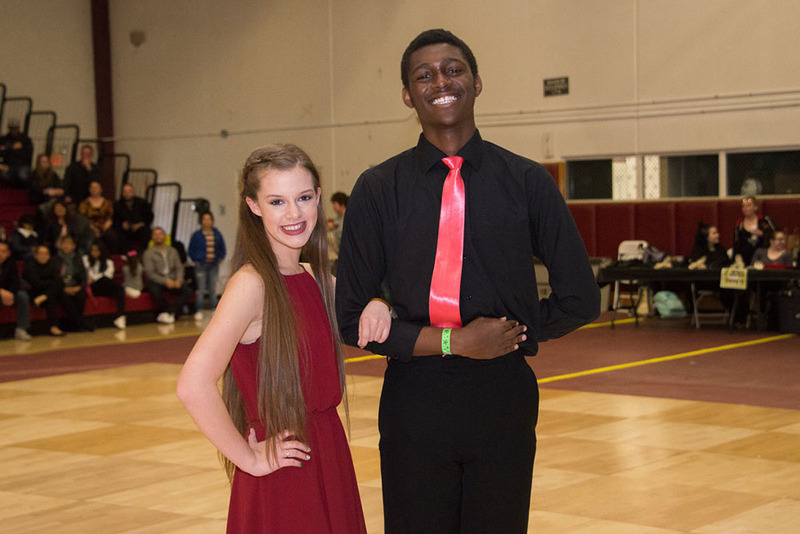 They also compete in a Jack and Jill Merengue. 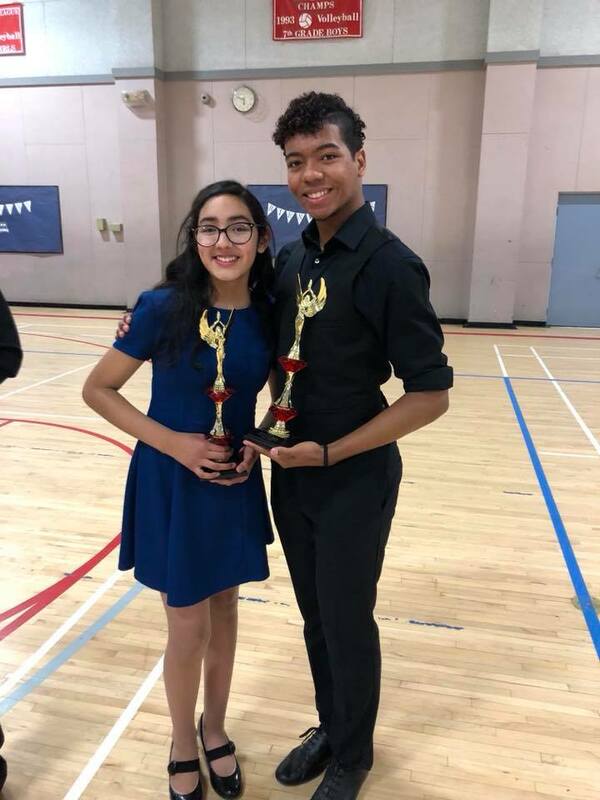 This is a fun event because they are given a random partner from another school to compete with in a separate competition. 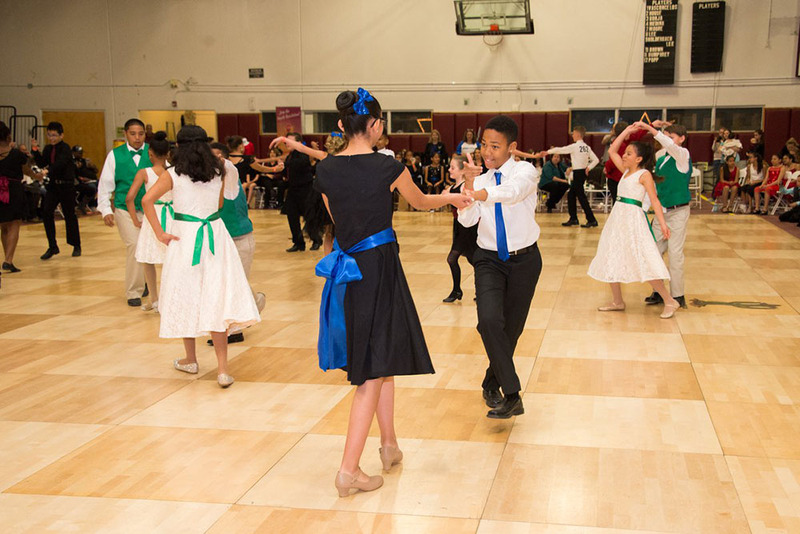 The combined 7th and 8th grade team competes in Viennese Waltz, Cha Cha, Bachata, and East Coast Swing. 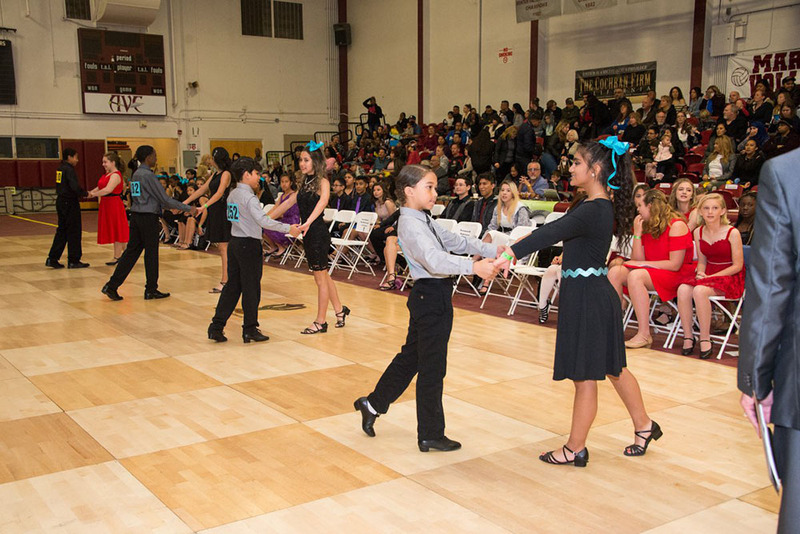 Their exciting Jack and Jill event is Bachata. 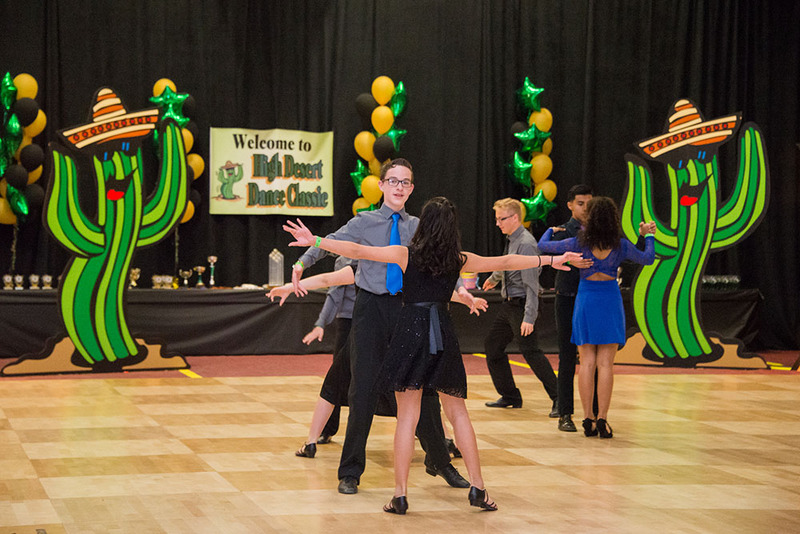 Our high school team competes in Viennese Waltz, Cha Cha, Bachata, and East Coast Swing. 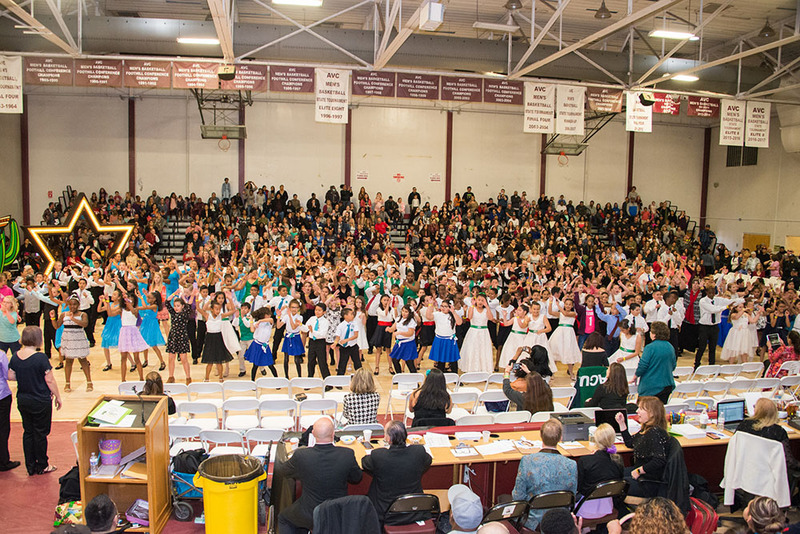 In addition to their fun Jack and Jill in Bachata, this year they will be performing a Flash Mob in West Coast Swing.